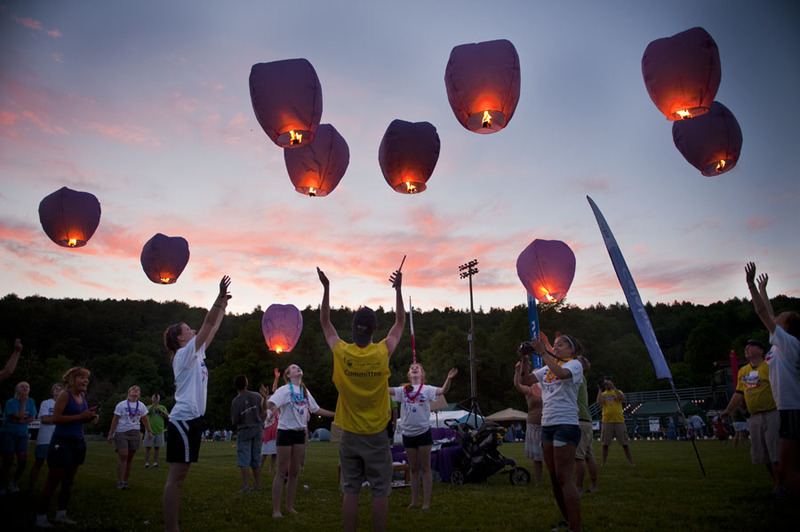 I had a lot of fun photographing a Relay For Life event at Montpelier High School in Montpelier Vermont throughout the day. I also took a trip to Maple Corners to photograph Chris Miller and his Stone Truck Sculpture followed by a jaunt to Barre Town to see the final preparations for the Rock Fire festival. 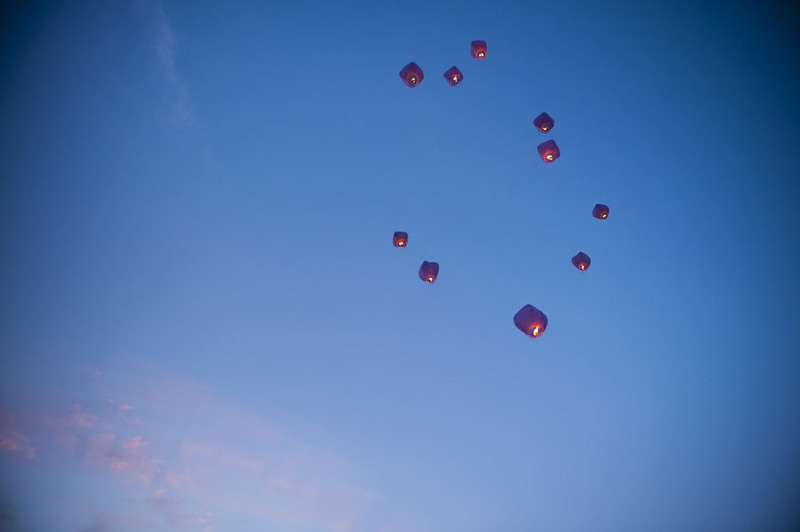 Relay for life volunteers and participants release candles into the air at sunset. 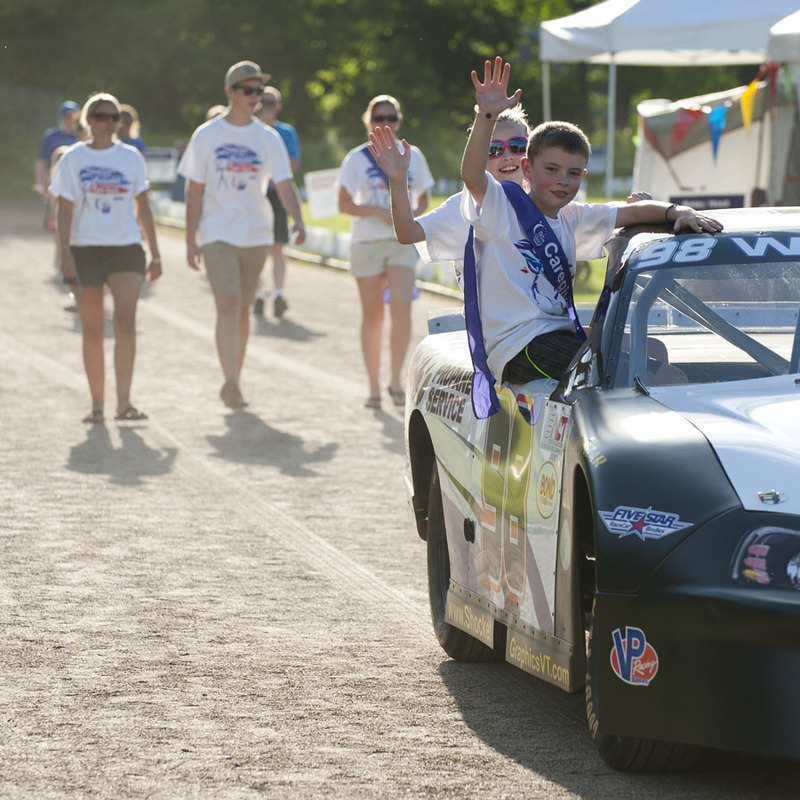 Trace Wimble, far right, and Kennedy Wimble, take a ride leading the second lap around the track at Montpelier High School in the Wimble #98 race car during the 2012 Relay For Life of Central Vermont. 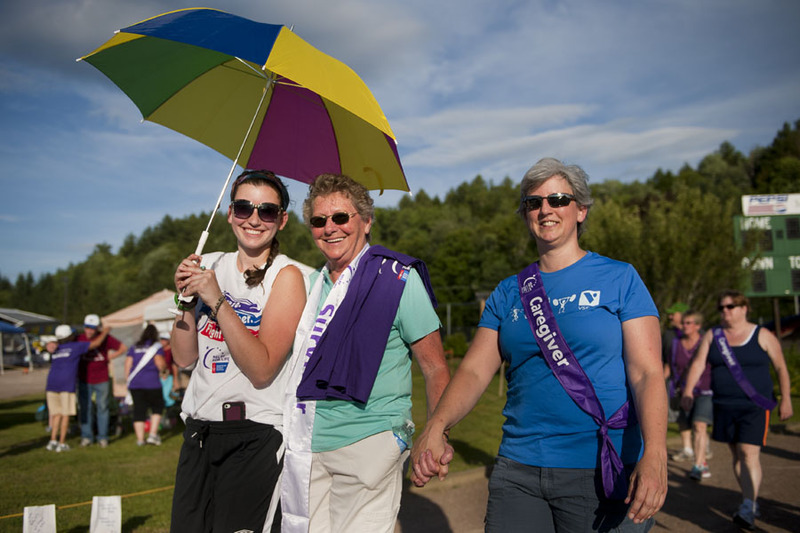 Julia Thetford, Cyndie Tremblay, and Kate Tremblay participate in the survivors and caregivers lap to start off the 2012 Relay For Life of Central Vermont at Montpelier High School. 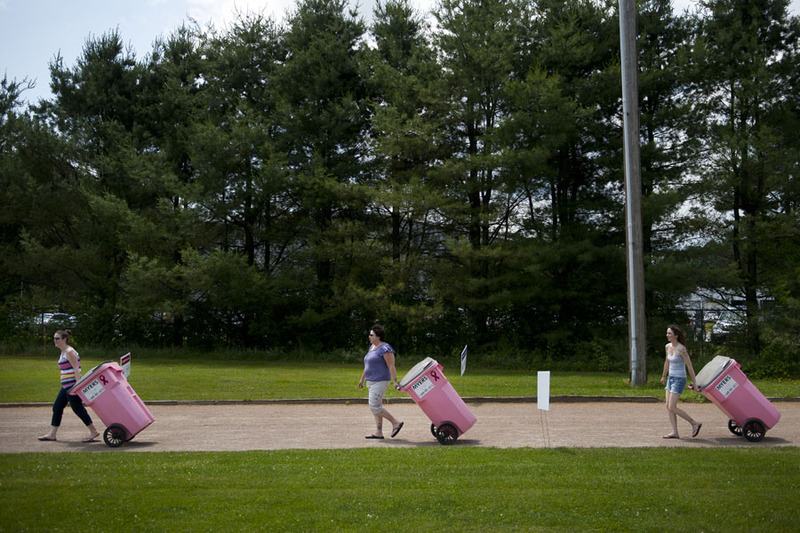 Relay for Life volunteers Wendy Wimble, Lisa Wimble, and Amanda Davey wheel pink trash cans into place on the Montpelier High School Track prior to the start of the Relay for Life event. 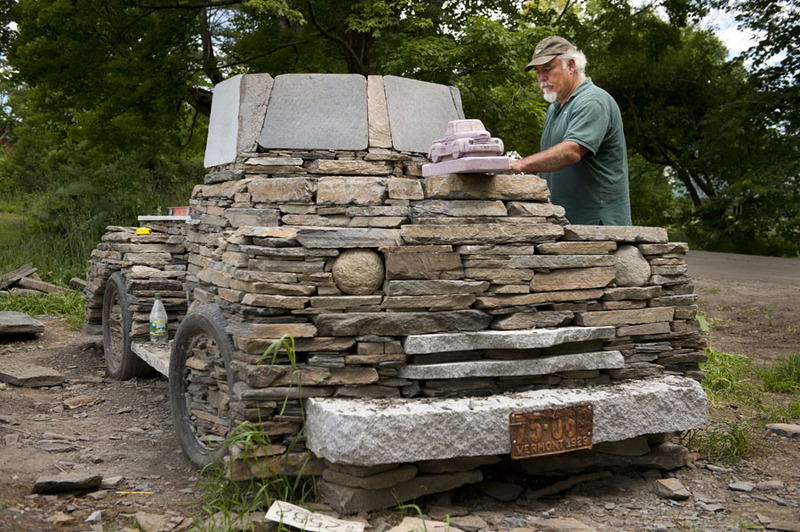 Chris Miller works on the final day of construction on a stone truck he has built on the roadside in Maple Corner Vermont. The concept for the creation is based on the “rusty old farm trucks” that “every little town in Vermont is blessed with”. 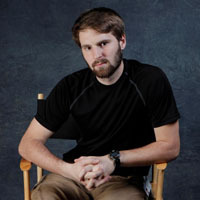 Miller raised approximately $3,100 through the website Kickstarter to fund the materials needed to construct his work of public art. 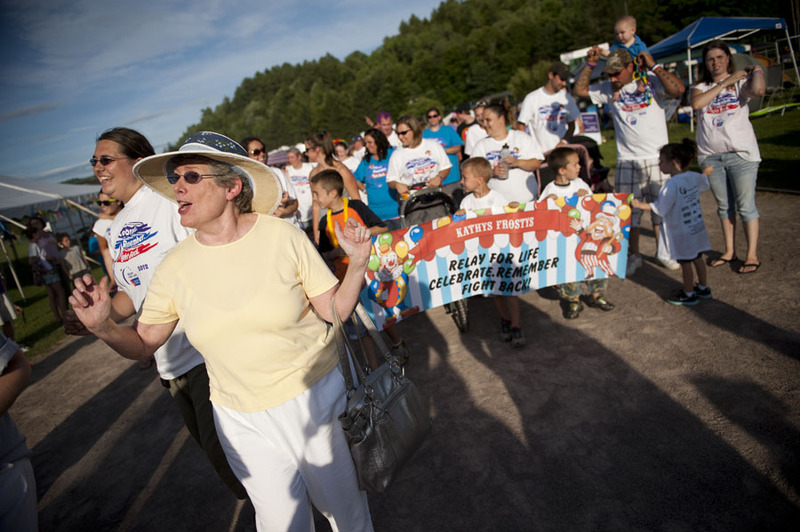 In one of the of the final steps in the construction process, Miller will lay in the rear window of the truck which he had sand-blasted with the names of the more than 80 project donors. 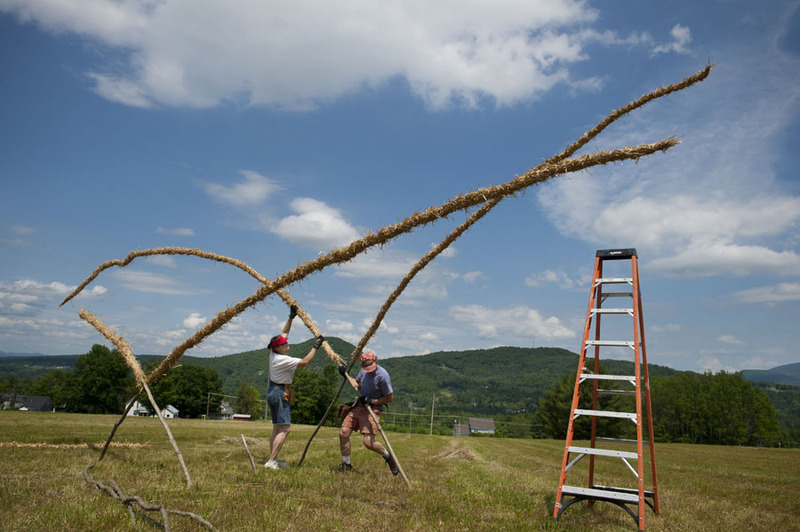 “MythMakers” Donna Dodson of Boston Ma., and Andy Moerlein of Bow Nh., assemble their fire sculpture called “Flaming Vulture”, in preparation for the Rock Fire festival in Barre Town. Once the sculpture is finished the duo “MythMakers” will soak it with accelerant in preparation for a 10:00pm lighting Saturday Night.